As a result of 2006/32/EC Directive of the European Parliament that established a new regulatory framework for the efficient end-use of energy and energy services, and also required the public sector to adopt an exemplary role in applying energy saving measures and energy efficiency; the Spanish government approved the 14th January 2010 Resolution. That resolution approved an energy efficiency activation plan for 330 energy consumer centres belonging to the General State Administration. - Identification and characterization of energy demands (fuel type, construction, use…) as well as description and inventory of the main energy consuming facilities. 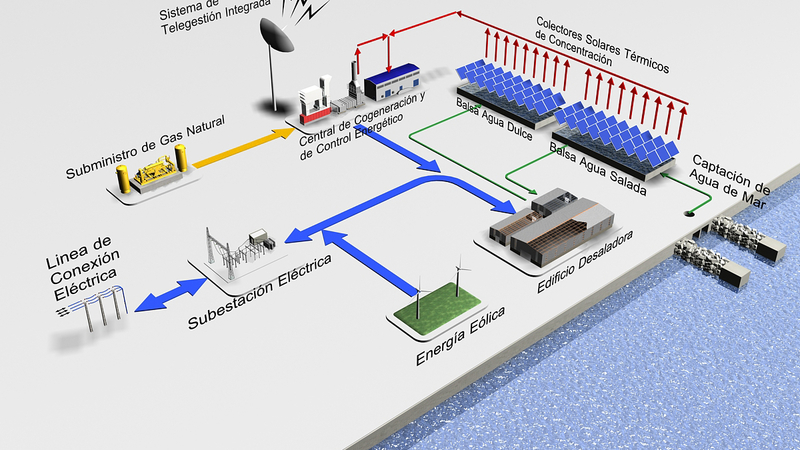 - Proposal of energy saving measures and distributed energy systems for each complex and its implantation possibilities. - Evaluate the savings potential for the consumer centre in order to study its feasibility by the appropriate Ministry or Agency with the purpose of the development of public contract with ESCOs. - Gather the technical information required to add to the Functional Program in case of development of the corresponding tender document.